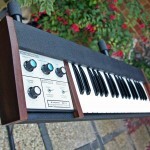 Remarks: A truly immaculate condition example of the vintage EMS DK2 Analogue Keyboard Controller for the Synthi & VCS3. Manufacturing date for this will be around 1973, so at least 40 years old. This DK2 has just been subjected to a complete strip-down and rebuild. 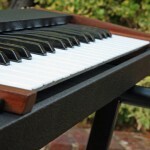 The restoration work included having the panels stripped, painted and re-screen printed, new tolex applied, complete keyboard mechanism overhaul and the wood case stripped, re-stained and wax finished by hand. 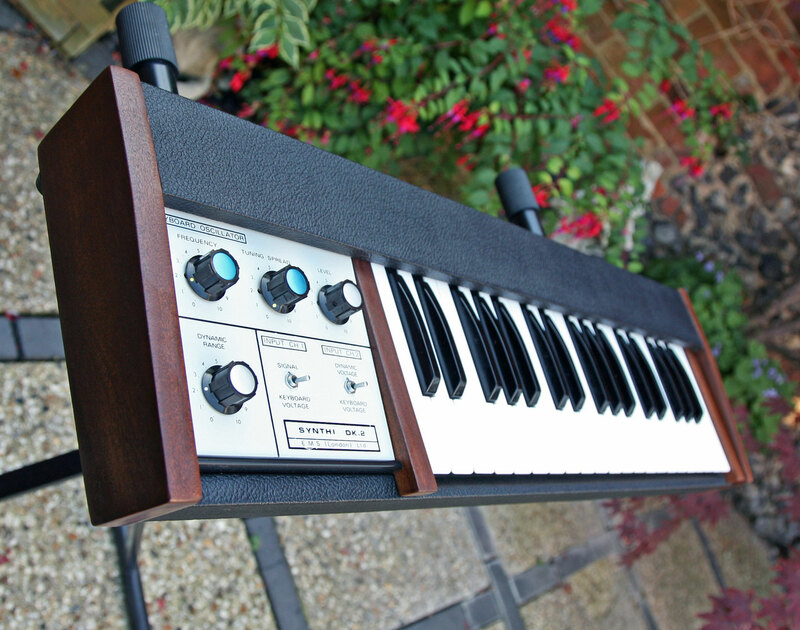 This DK2 is described as ‘collector grade’ cosmetic and operational condition. 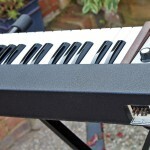 The DK2 has two independent channels of CV, these can set to different modes, and the keyboard has its own built in VCO for modulation options, plus as “Dynamic Channel’ output. 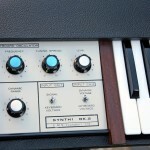 You would connect the DK2 to the Synthi or VCS3 via the Cinch-Jones keyboard interconnect cable, and additionally, a second 1/4 inch jack cable for more control options via the ‘input channel 2′ on the synth. 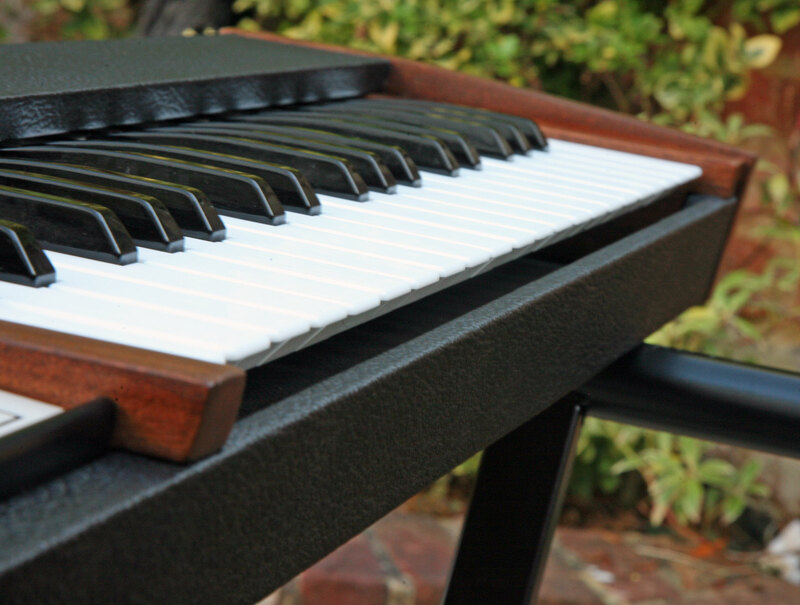 The ‘Dynamic Channel’, brings into play the DK2s 37 note velocity-sensitive keyboard. This means the velocity action sends a separate control voltage. This would commonly be used for aptitude control, providing you set the matrix-patch on your Synthi or VCS3 to operate that way. 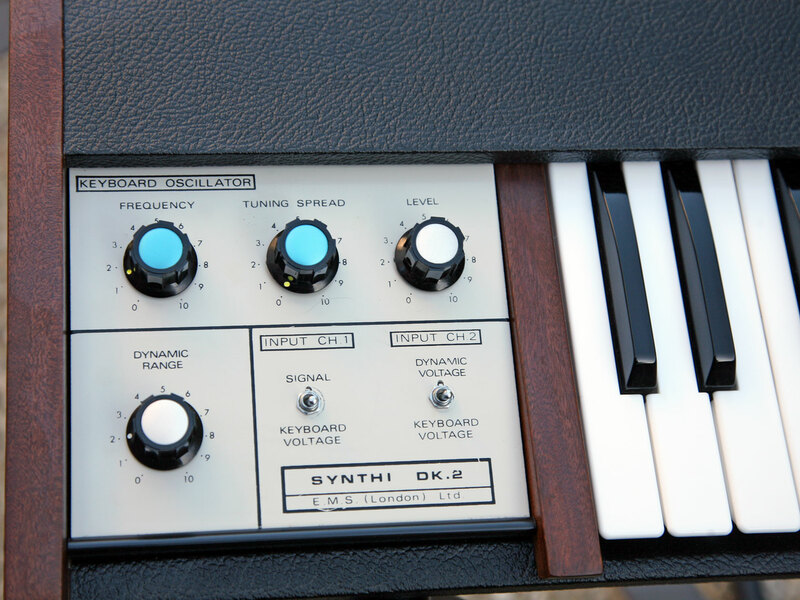 The ‘Dynamic Channel’ can actually be set to control almost any facility on the Synthi or VCS3…which is what these amazing synths are all about really. If you need it, We are able to supply the Cinch-Jones keyboard interconnect cable to run the DK2 into either a Synthi or VCS3, price upon request. Sold with a full 3 month warranty. Availability: This DK2 is now SOLD as at 22nd September 2014. Pictures below of actual DK2 for sale. Click on the thumbnails for a high resolution photos.